Colored Mulch - Does It Affect Plant Growth? Does Colored Mulch Affect Plant Growth? Does colored mulch affect plant growth? We are talking specifically about bark mulch here, not the plastic kind. Wood bark breaks down into the soil; therefore, its composition could affect the health of plants one way or the other (for better or worse). In the prior FAQ on dyed mulch, we considered how safe colored mulch is for humans. I concluded that the consumer's best bet would be to purchase MSC-certified colored mulch. But I am now going to consider the separate question of whether colored mulch bad is bad for plants, themselves. As in the prior FAQ, the real issue is not the dye used to color the mulch, but the wood, itself -- some of which may have arsenic in it. While we know that arsenic can hurt humans, you may well wonder what effect a soil containing a greater than normal amount of arsenic (via colored mulch derived in part from CCA-treated wood) might have on plant health. "soil samples were analysed before and after a pot trial conducted to assess the effects of these amendments on plant growth and element uptake"
"an incubation study conducted without plants and with soil samples taken for analysis"
The results, according to the abstract, "warrant a cautious acceptability of CCA-treated sawdust as a mulch or garden amendment." Consult my separate article on CCA-Treated Wood to learn more about it. So what does all of that mean? I think the key word in the concluding statement is "cautious." However, it really comes down to the degree to which you wish to be cautious. My FAQ specifically addresses the issue of colored mulches and plant health. However, since we are the ones handling the mulch, human health concerns are still relevant. An uncertified colored mulch, whose origin is unknown and whose exact composition cannot be definitively determined without a degree in chemistry. Or a natural mulch, such as non-dyed bark, hay, straw, or the leaves we had raked up in fall. We know that the natural mulch causes no harm -- either to us or to our plants. The second best choice seems to me to be the MSC-certified colored mulch. But only you can decide which is the correct course of action for you. 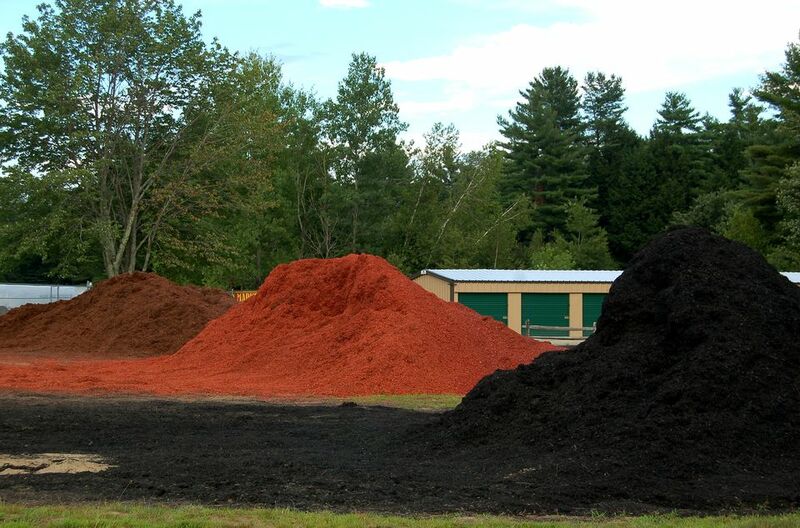 Learn more here about the various types of mulch. What Landscape Mulch Is Best for Your Garden?